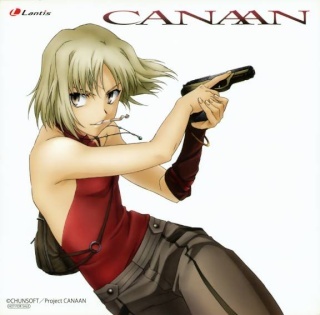 Canaan is a 13 episode, Action, mystery, supernatural anime. Two years ago, Shibuya was wiped out by a biological terrorist attack which made use of the lethal Ua virus. Maria Osawa is one of the few survivors of the attack however she suffers from partial amnesia. 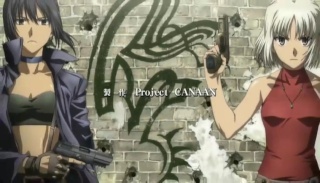 When on a trip to Shanghai as a camerawoman to investigate the events of Shibuya, she is reunited with a girl called Canaan – A skilled assassin with the gift of synesthesia, allowing her to make use of all five of her senses, to their maximum potential, in perfect unison. She strives to protect Maria to the point of prioritizing her safety over that of herself, or her mission, and ruthlessly killing any one she deems to be a threat to Maria. As they try to unravel the mystery of Shibuya, a series of unfortunate and life threatening events unfold. What can I say? 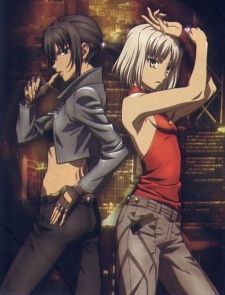 I loved this anime. I loved the original story; I’ve never come across an assassin with synesthesia before! And the visuals in this anime are stunning! 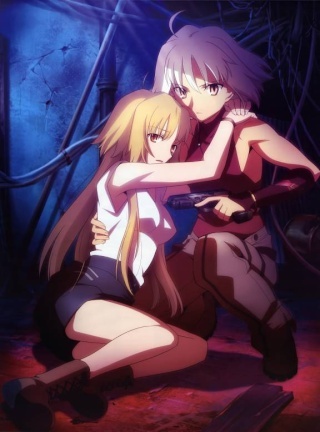 The fast paced fights and gun scenes are incredible and beautiful to watch, this anime is very easy on the eyes. Even among the killing and shooting and emotional goodbyes, there is a hint of comedy, especially behind Yun-Yun’s character. I found myself becoming emotionally attached to several characters and eagerly awaiting the next episode. 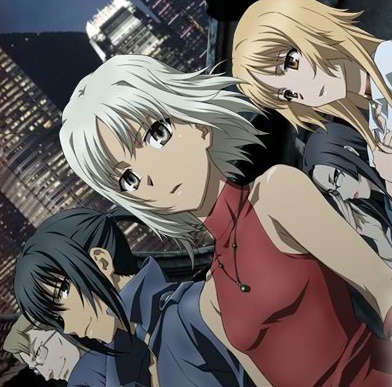 I really do recommend this anime to ANYONE who likes fast paced action or an interesting story. This anime has a wonderful ending and a unique touch. I hope you enjoy watching it as much as I did! I'm still halfway through it.